The Multitrack Tech Conference is back! 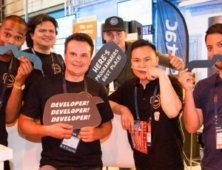 Take a look at everything that is happening around Codemotion Berlin 2019! Why should you attend Codemotion? Codemotion is an inclusive conference! Check our CoC! CFP is open – Apply now!